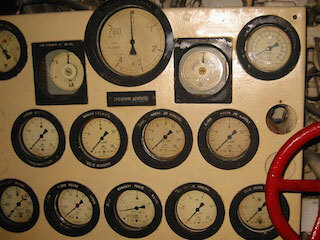 The dials in the photo here tell the story of the B-39 Russian submarine berthed in the San Diego Maritime Museum amidst her former adversaries. The dials, a version of metrics and perhaps a precursor of the balanced scorecard reminded me of the rocky shoals of measuring ROI on executive coaching. However difficult, sponsors and executive coaches must find ways to link coaching to the business needs and drivers. To add rigor to the coaching assignment, the sponsors, coach, and executive must collaborate to chart the waters of the engagement – – its context, activities, and final destination. Sometimes these measures take months to clarify. Complexities prevail. Don’t be afraid to begin the conversation.